LONG ISLAND (WABC) -- The Long Island Power Authority has voted to approve New York's first offshore wind farm, which will be the nation's largest. Officials say the South Fork Wind Farm, a 90 megawatt development 30 miles southeast of Montauk, is the first step toward developing an area that can reportedly host up to one-thousand megawatts of offshore wind power. The project is part of Governor Andrew Cuomo's clean energy standard to secure 50 percent of the state's electricity supply from renewable energy sources by 2030. "LIPA's 90-megawatt South Fork project moves New York to the forefront of offshore wind development in America," New York Offshore Wind Alliance director Elizabeth Gordon said. "Major progress on what will be the nation's largest offshore wind project, combined with Governor Cuomo's 2,400 megawatt commitment, makes it clear that New York is entering a new energy era - one where offshore wind power is poised to play a key role in meeting down state's electricity needs." The vote comes two weeks after Cuomo reportedly called on LIPA to approve the wind farm project and announced an unprecedented commitment to develop up to 2.4 gigawatts of offshore wind, as well as a long term energy goal of supplying half of all electricity from renewable sources by 2030 in his State of the State address on Long Island. Officials say the 2.4 gigawatt target, which is enough power generation for 1.25 million homes, is the largest commitment to offshore wind energy in U.S.
"New York leads the nation in pioneering clean energy innovation, and this bold action marks the next step in our unprecedented commitment to offshore wind, as well as our ambitious long term energy goal of supplying half of all electricity from renewable sources by 2030," Governor Cuomo said. "This project will not only provide a new, reliable source of clean energy, but will also create high-paying jobs, continue our efforts to combat climate change and help preserve our environment for current and future generations of New Yorkers." The LIPA Board reportedly approved a contract submitted by Deepwater Wind for the South Fork Wind Farm after a year-long process involving the private sector for the best available clean energy generation ideas and detailed cost modeling. LIPA's South Fork energy portfolio included transmissions and additional clean energy solutions such as battery storage and consumer electricity demand reduction. "This is a big step for LIPA, a bold step for renewable energy on Long Island, and the beginning of an offshore wind industry in the State of New York and the country," Renewable Energy Long Island executive director Gordian Raacke said. "We commend Governor Cuomo and LIPA for showing visionary leadership in the transition to renewable energy and thank all who have advocated for offshore wind energy over the last couple of decades." According to the LIPA Board, a 20-year pay-for-performance Power Purchase Agreement will allow the utility to reportedly only pay for delivered energy without taking construction or operating risk. Officials say advancing technology and innovation reduced the projects all-in wind energy price to be competitive with other renewable energy sources. 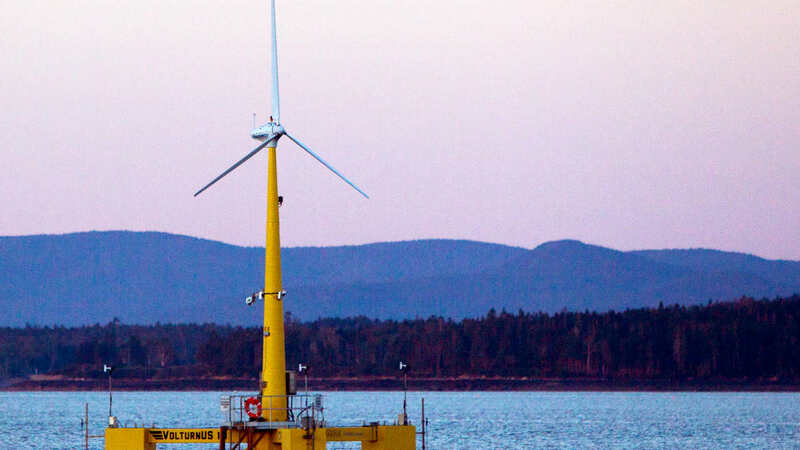 In addition to the approval for the South Fork Wind Farm, the New York State Energy Research and Development Authority is continuing to develop an Offshore Wind Master Plan, outlining the State's commitment to developing cost-effective offshore wind resources in federal waters off the east coast of New York. Officials say the master plan is set to be released in late 2017, and will show how additional New York coastal sites may be developed and will set capacity targets and commercial operation dates for each site. The state will reportedly continue to work closely with costal community members, the fishing and maritime industries, environmental advocates and other stakeholders to identify additional offshore wind energy sites to be included in New York's Offshore Wind Master Plan.